Seeing a superb performance of Romeo and Juliet directed by Aaron Posner at Washington DC’s beautiful Folger Theatre took me back to summer days in Verona. Before I went there I really knew nothing about this city beyond its association with Shakespeare’s star-crossed lovers. Verona surprised me, charmed me, exceeded expectations in every way. I was anticipating a mini-Disneyland with Romeo & Juliet-themed rides. 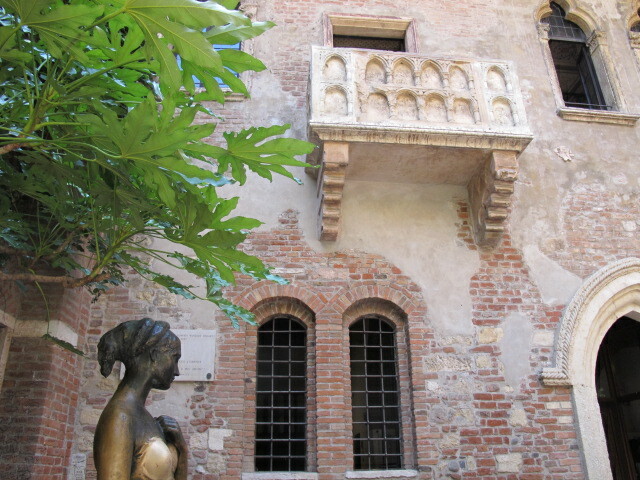 I found a city rich in history and and points of interest beyond the famed Juliet’s balcony (which by the way is a tourist zoo).